Imagine yourself on a trip out into the country a couple of kilometres from Cape Town. The drive takes about 50 minutes and crosses the beautiful Hottentots Holland Mountain range via Sir Lowry's Pass. 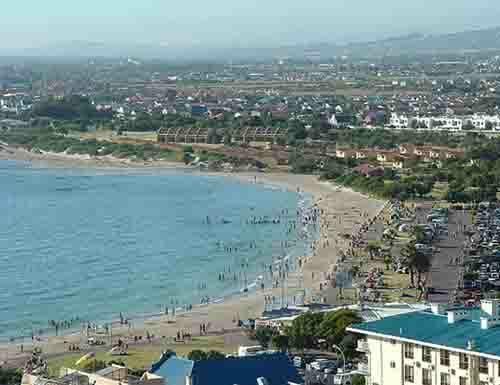 Looking down over Gordon's Bay the view simply takes your breath away. The slopes of the mountainside are covered in fynbos with many of the wild flowers in bloom at the moment. Above the pass riding the thermals are a number of hang gliders. To get airborne they jump off the top of the mountain a couple of metres above the road. What a view they must have of the two sides of the mountain from their vantage point. Crossing over the ridge of the mountain you enter another world. Here there is nothing but nature. 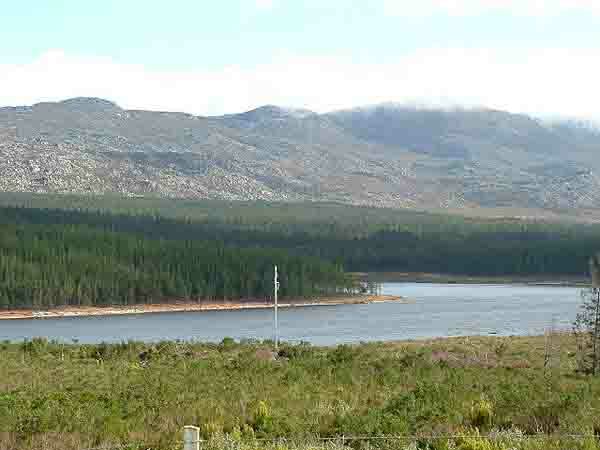 The Steenbras Dam to your right stretches out into the distance with its banks covered with a forest of pine trees. The mountain side which used to be covered in pine forests has been cleared and the fynbos has come back with many of the flowering varieties in bloom. The N2 winds its way through the fields and forests until we reach the village of Grabouw/Elgin on the eastern side of the Hottentots Holland Mountains. The village is not the prettiest I have seen and is divided by the Palmiet river with its northern bank being in Elgin and the southern bank being in Grabouw. The farmlands surrounding the village are covered in row upon row of apple and pear trees and everything is green and fresh. 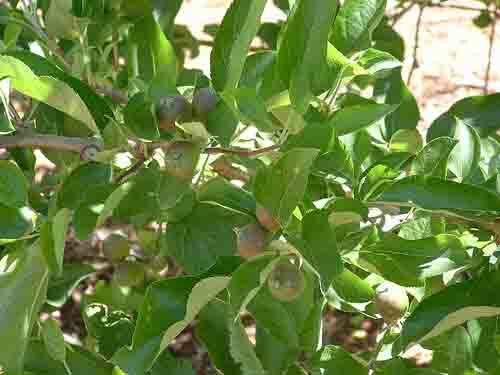 Most of the trees are full of fruit nearly ready for the the apple harvest which starts in January. Normally the farms are closed to strangers but as its open day many of the farms have opened their gates to allow visitors to walk around and see the orchards and some of the beautiful private gardens on the farms. The first farm on our agenda was Oaktree farm. If you love large green oak trees this is the farm to visit. A woodland path through the trees leads down to the apple orchards and then doubles back to the small rose garden near the farmhouse. At the rear of the farmhouse is a small fowl run where Kentucky the hen lives with her other feathered friends. The farmer's wife with a smile on her face says she will soon become KFC. On the small patio at the front of the farm house the farmer is presenting and tasting some of the wines growing in the Grabouw Valley to visitors to his farm. 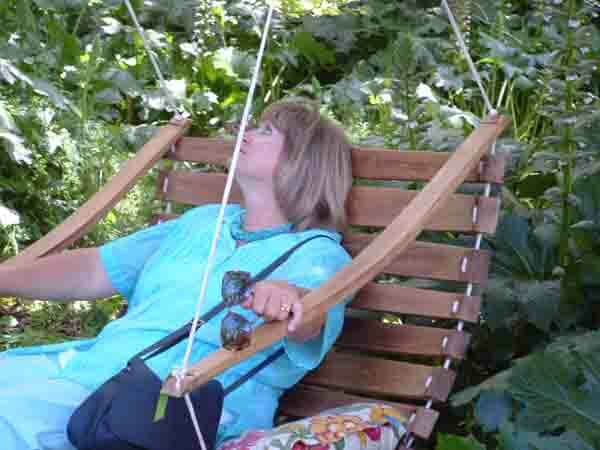 It would have been so lovely just to be able to relax in the hanging chair under a large oak with a large frosty glass of white wine but unfortunately no such luck for me. As it was roses that had inspired this outing we had to make our way to the best rose farm in the village. A short drive through the apple orchards along a winding farm road and we enter Duncan's world of roses. For any rose lover Duncan's garden must be heaven. A pathway to the nursery is covered with white roses that hang down the sides and over the pagoda that forms it. Ever walked through a tunnel of roses before, this would be any bride's dream come true. At right angles to this pathway is another which is lined with pink roses to beautiful to describe. Entering the garden at the end of the rose covered pathway your breath is taken away by the floral display and the fragrance of the roses. The colours range from yellow to pink, to red, to crimson and anything in between. There is so much you cannot take it all in. How does Duncan come up with all this beauty? That's easy to explain. He experiments and just across the way from the rose garden is a field filled with hundreds of his experiments. It is something to behold. There are long rows of roses with each row being a specific colour and variety. Most of the roses here have been grafted onto the base of a wild rose which has a good root system and is disease free. Rose farming is an art and requires a lot of patience to produce the quality of rose to be seen on this farm. Next time you visit Cape Town, do yourself a favour and visit Duncan's roses. You won't believe what you are seeing! Berg en Dal Farm in Elgin. What do cricketers do when they retire? In Elgin one of South Africa's cricketing heroes, a man who could hit sixes and fours off any bowler has retired to his apple farm. Retired? No I don't think so! Adriaan Kuiper has stopped playing cricket but now has to make time for all the jobs left undone while away on his many tours. So much time was spent away from his farm that his wife had to find something to do to keep herself busy. She started experimenting with growing cut flowers and soon her efforts paid off. Today she not only produces roses but many other species of cut flowers as well. 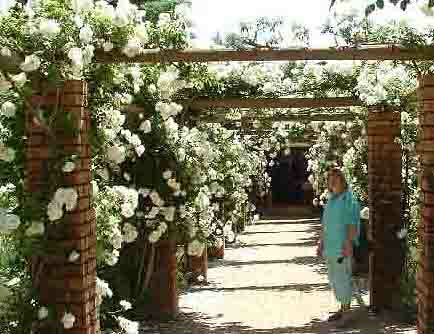 Her small rose tunnel has now blossomed into a number of large tunnels which cover many hectares of land. 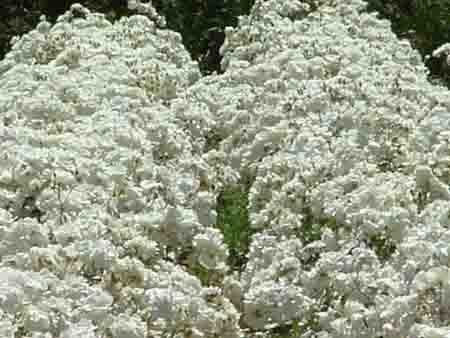 Cultivating flowers is very labour intensive and when flowers are ready to be picked the picking cannot wait. This necessitates that staff work seven day weeks and have time off on Saturdays No one wants to work on a Sunday but the markets need flowers on Monday mornings. Adriaan has his work cut out looking after the apple farm. To keep thousands of apple trees in peak health takes lots of time and effort. A glance into his orchards when I visited recently revealed that the trees were full of very healthy small apples that would be ready in a month or so. Diversification is the name of the game on Adriaan's farm. Research has revealed that free range chickens are the in thing in today's markets. Adriaan has responded to the call and has set up three large batteries to raise free range chickens. The only difference I can see between free range and the normal battery chicken is that the birds are not kept in cages. These batteries house thousands of chickens which are kept in this enclosed space for a number of weeks until they are used to their surroundings. The doors are then opened to enable the chickens to roam free. Far from roaming free the fowls do not move more than a few metres away from where they were first placed when they entered the battery. What keeps them there ? I don't know, possibly they have been brainwashed to think that life exists on their small bit of turf and so are scared to move away. Can you just imagine the chaos if 10000 chickens decided to make off into the apple orchards surrounding the batteries. What fun that would be trying to recapture them all. We could even use our Springbok rugby team in the roundup as a runaway chicken would need some chasing and a couple of dive tackles to catch. ( Might sharpen the Boks handling skills) The chickens could then be marketed as fit free range chickens. Enough of my sick humour for now. When you have some spare time on your hands why not take a drive out to Grabouw and visit some of the farms in the area. The orchards are really beautiful when in flower and leaf.